Mr. Natdrick Jones owns N.L. Jones Funeral Directors (a full-service funeral home); Heaven’s Gate Memorial Garden (a perpetual care cemetery); and co-owns Little Angels Learning Center, all in Tupelo. A native of Los Angeles, California, Jones graduated from Tupelo High School in 1984. He earned a bachelor’s degree from Jackson State University in 1990 and an associate’s degree of Mortuary Science from Jefferson State School of Mortuary Science in 2000. He is a life member of the Jackson State University National Alumni Association and a member of the JSUNAA Tupelo Alumni Chapter. His other affiliations include the NAACP, National Funeral Directors and Morticians Association and Omega Psi Phi Fraternity’s Upsilon Epsilon Chapter at JSU. Natdrick is the son of JSU alum Lera M. Jones (Class of 1965). According to Natdrick Jones, his mother met his father in 1964 at a James Brown concert at College Park Auditorium in Georgia. His father, Nathaniel Leon Jones, then 22, was a musical genius from Kinston, N.C., and the saxophonist and band director of The James Brown Show. Natdrick said once his dad laid eyes on his mother he said she was the “prettiest girl he had ever seen.” The rest is history. Oh, do we love Thee I Love JSU! 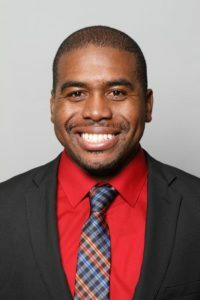 Dr. Kelvin Jones is the newly appointed Associate Director of Bands at Louisiana State University. His responsibilities include co-directing the Sudler-winning "Golden Band from Tigerland," conducting the Symphonic Band, teaching undergraduate conducting, marching band techniques, graduate-level wind literature, and directing the Bengal Brass pep band which supports men and women basketball, gymnastics, volleyball programs, and provides numerous other performances in support of LSU athletics. He is an active drill designer and music arranger for high school and university music programs across the country with his arrangements being performed throughout the United States, including the Dallas Winds. Jones is a 2011 recipient of the Louisiana Music Educators Association’s Young Music Educator of the Year, the 2013 recipient of the Baton Rouge Symphony Orchestra’s Teacher of Distinction, and the 2014 LSU A.P. Tureaud award recipient for significant contributions to the university. His halftime shows have been featured at the 2017 College Band Directors National Association Conference (CBDNA) in Kansas City, MO and the 2018 Southern CBDNA Conference in Tampa, FL. He is the former band director at West Feliciana High School in St. Francisville, Louisiana. At WFHS, he led an active, comprehensive music program that produced numerous award-winning performances at state and national events, including the 2013 United States National Presidential Inauguration Music Festival in Washington DC. Dr. Jones has also presented at international, national, and state music conferences across the United States, including Ohio, Texas, and Louisiana Music Educators Associations. He is published in the Instrumentalist magazine (Jan. 2014 and Dec. 2015), an active clinician, and has traveled internationally working with music programs in South America (Chile) and with the LSU marching band in Dublin, Ireland. He also serves as a clinician/instructor at the Smith-Walbridge Drum Major Clinic held in Charleston, Illinois working with high school and college drum majors from across the country. He holds degrees in Music from Jackson State University and Louisiana State University. He is a member of the College Band Directors National Association, Kappa Kappa Psi Fraternity Inc., National Association for Music Education, Louisiana Music Educators Association, Louisiana Association of Jazz Educators, HBCU Band Directors Consortium, and Alpha Phi Alpha Fraternity Inc. He resides in Zachary, LA with his wife Felicia, a registered nurse, and their bundle of joy son, Samuel aka "BJ". Matthew S. Bradford is a proud native of Laurel, Mississippi; he has been a resident of Florida, since 2001. Matthew is a 1995 graduate of Jackson State University where he received his B.S. in Computer Aided Drafting and Design with a minor in Computer Science. Professionally, he has over 20 years of experience in the field of Technology, working for a number of Fortune 500 companies. He is presently Interim Chief Information Officer for the Broward County Public School District, the 6th largest public school system in the United States. The District, which is Broward County’s largest employer with over 30,000 employees, serves over 270,000 students enrolled in over 300 schools and education centers countywide. Matthew has a strong commitment to community service. He has held leadership offices in many community organizations such as the Mississippi Youth Sports Association, Boys Scouts of America, Big Brothers/Big Sisters and is currently an Advisory Board member with the Boys and Girls Club of Fort Lauderdale. He also serves as Chairman of the New Mount Olive Baptist Church Board of Directors and is a member of its Chorale Music Ministry. He was nominated for the 2010 African American Achievers Award for Community Service. 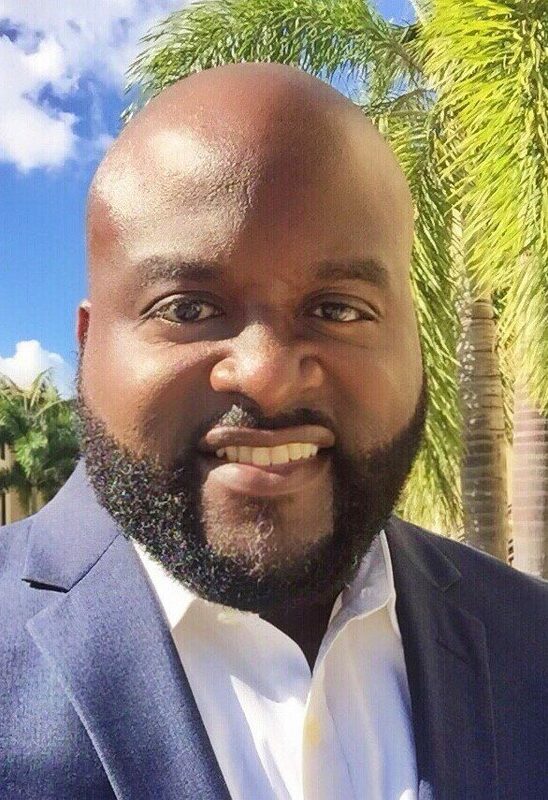 Matthew was also named one of Legacy Magazine’s Top 40 Under 40 South Florida Business Leaders of 2012 as well as one of the Top 50 Most Powerful Black Professionals in Business and Industry of 2014. He is a proud member of Alpha Phi Alpha Fraternity, Incorporated, where he has served in various leadership capacities. 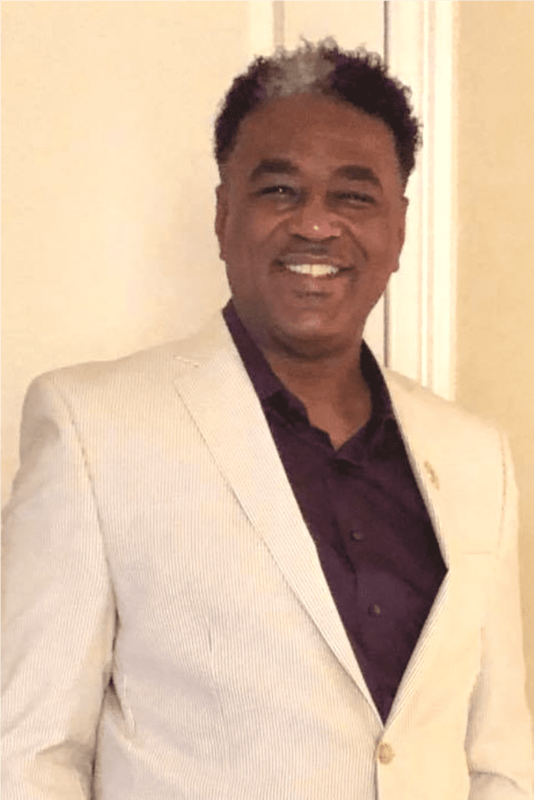 He is currently Co-Chair, Management Information Systems Committee for Alpha Phi Alpha nationally, the Immediate Past District Director for the Florida Federation of Alpha Chapters and is a Board Member of the Zeta Alpha Lambda Educational and Charitable Foundation. He has also served as President of the Zeta Alpha Lambda Chapter of Fort Lauderdale, South Florida Director and Chairman of the Southern Region Election Committee. He believes that to succeed, your desire for success should be greater than your fear of failure. That belief, along with the assertion that no backward steps be taken in life, are motivating factors in every aspect of his life. He and his beautiful Princess, Maya, reside in South Florida and are active members of the New Mount Olive Baptist Church of Fort Lauderdale, FL. Dr. Antwon D. Woods earned his Bachelors in Business Administration in Accounting from Jackson State University in 2011, and a Masters of Science in Sport Management from Middle Tennessee State University in 2013. In 2015, he earned a PhD. in Urban Higher Education from Jackson State University, where he was an Ayers Fellow in the Jake Ayers Institute for Urban Research. He completed his educational record with the Masters of Business Administration degree from Louisiana State University in 2018. Dr. Woods currently serves as the Department Chairman and Assistant Professor of Sport Management and Business Administration for Belhaven University. In this capacity, Dr. Woods approach, as an administrator and educator, is to deliver the concepts in a tangible way that students can grasp, so that they may gain the knowledge needed to understand the literature within the aspects of business in the sport industry. Dr. Woods research expertise focuses on areas relating to student engagement and retention. Much of his work has been on improving the academic development of minority students and student-athletes. He recently published his first academic book entitled Examining Student Retention and Engagement Strategies at Historically Black Colleges & Universities (ISBN-13: 978-1522570219). The book investigates innovations that institutions can enact to better prepare the following generation of students in leadership throughout the competitive educational industry. In addition to his book publication, Dr. Woods has published over 15 peer-reviewed scholarly articles, presented paper presentations at both state and national conferences, and served on the editorial review board for 5 different academic journals. In 2018, the Mississippi Business Journal awarded Dr. Woods as one of the Top 50 under 40 business leaders in the state of Mississippi. 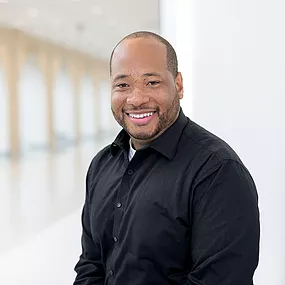 In addition to his work at Belhaven, Dr. Woods serves as the President and Chief Executive Officer for the Antwon and Constance Woods Family Foundation, a non-profit that supports the educational well-being of children across Mississippi, founded by him and his wife. He also is a member of the Board of Directors for Ambition Preparatory Charter School in Jackson, Mississippi, where he serves as Vice Chairman. Dr. Woods is married to Dr. Constance Barnes-Woods ‘09, a Pediatrician at Blair E. Batson Children Hospital. The couple is faithful members of the Church Triumphant in Jackson, pastored by Bishop Adrian Ware. Damien Stovall is a native of Sunflower, MS and the son of JSU graduates Terry and Cynthia Stovall. Damien graduated in 2002 from Jackson State University with a Bachelor of Science in Education Technology. After graduation, Damien followed in one of his sibling's footsteps Terry Jr., also a JSU graduate; where he enrolled in Dallas ISD's alternative teacher certification program. Damien began teaching 2nd and 3rd grade at Mount Auburn Elementary in Dallas, TX in 2002. During this time Damien also attained his Masters of Art in Educational Policy and Leadership Studies at the University of Texas at Arlington. After four years as an assistant principal, Damien earned his first principalship at Charles A. Gill Elementary. He served as principal for five years before taking on the challenge of Edward Titche Elementary. Titche Elementary was rated the fourth worst elementary school in the state of Texas by Children at Risk and was on the verge of closure due to failing to meet the state standards. After one year of joining the Dallas ISD’s Accelerating Campus Excellence or ACE program, Titche became a B rated campus and received six out six distinctions under his leadership. His future goals are to find ways to support a pipeline of educators from HBCU's to similar schools such as Titche. Damien believes every child deserves to be a champion and he hopes to become more involved in bringing more educators from Jackson State University to be those champions. Damien has been an educator for seventeen years, a teacher for six years, and currently, he is in his eleventh year as an administrator. Dwain became an educator to provide some of the less fortunate scholars an opportunity to be exposed to a quality education and to help see that their physical addresses do not determine their destination. Damien is an active and dedicated member of JSUNAA – Dallas-Ft. Worth Chapter. Judge Terri F. Love is a native of Birmingham, Alabama. 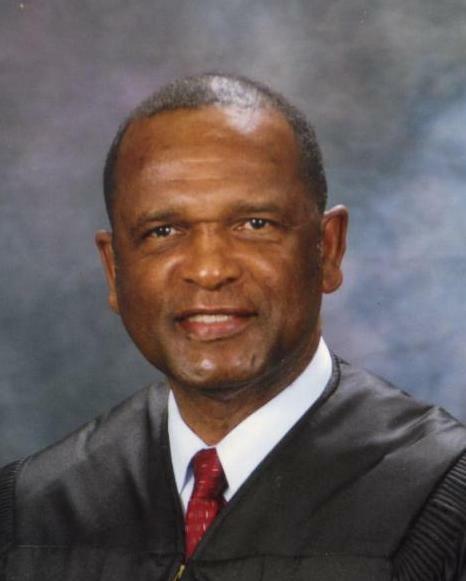 Judge Love graduated in 1983 from Jackson State University with a Bachelor of Arts degree in Political Science. She received a Juris Doctor from Tulane University School of Law in 1986 and was admitted to the Louisiana State Bar in April of 1987. In 2004, Judge Love received her Master of Laws degree in the Judicial Process from the University of Virginia. In 2007, Judge Love was selected to attend the International Judicial Academy, where she studied international law at The Hague, Netherlands. In 2011, Judge Love was selected by the Louisiana Supreme Court to participate in the inaugural session of the Louisiana Judicial Leadership Institute. The LJLI assists in developing leadership skills, increasing awareness of leadership issues and provides a network for court leaders across Louisiana. Judge Love began her legal career in New Orleans with the firm of Jefferson, Bryan, Gray, & Jupiter where, among other things, she represented the Orleans Parish School Board in tort litigation. In 1990, Judge Love established a private law practice; she represented clients in all areas of law and specialized in family law. In 1993, she was appointed Judge Ad Hoc by the judges of the Juvenile Court of Orleans Parish. The following year, Mayor Marc Morial appointed her Chief Deputy City Attorney for the City of New Orleans. During her tenure, Judge Love was the lead author of the city’s first domestic violence ordinance. In October 1995, Judge Love was elected to the Civil District Court for the Parish of Orleans. In September 2000, she was elected to the Louisiana Fourth Circuit Court of Appeal, unopposed. In August 2004, and August 2014, Judge Love was re-elected to serve ten-year terms, unopposed. A continuing student of the law, Judge Love has completed the New York University School of Law’s Institute for Appellate Judges and the George Mason School of Law Collegium. She is an active lecturer in various continuing legal education programs and has served as a Trial Advocacy Instructor at the Louisiana State University School of Law. She has also acted as an adjunct professor at Miles College Law School. In the aftermath of Hurricane Katrina, Judge Love coordinated the development and implementation of the Fourth Circuit’s Disaster Preparation, Continuity of Operations Plan. Judge Love currently serves as the Docket Committee Chair to ensure timely and efficient docket administration. In addition to the numerous community awards that Judge Love has received, in May 2004, she was bestowed with the prestigious Ernest N. Morial, Judicial Pacesetter Award, presented by the Louis A. Martinet Legal Society. 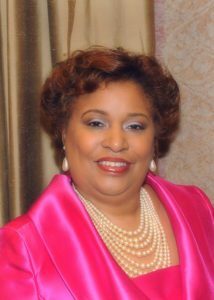 In 2012, Judge Love received the National Urban League Women of Power Award. Judge Love is dedicated to the education of our youth. She has served on the Xavier University Preparatory School’s Board of Directors, Jackson State University’s Development Board, and also served as the inaugural chair of the Jackson State University Woman’s Philanthropy Board. Judge Love currently serves on the Amistad Research Center’s Board of Directors. Judge Love also serves as a mentor and advisor with programs preparing the youth of New Orleans for collegiate education, including College Track and JOB1 (2018 Young Adult Achievement Award recipient). Judge Love’s commitment to young people includes providing the youth with an interactive experience in the judicial system. In furtherance of this commitment, Judge Love conducts annual Law Days. Judge Love is a member of the Louisiana State Bar, the Louisiana State Bar Foundation, the National Bar Association, the Louis A. Martinet Legal Society, the American Judges Association, New Orleans Bar Association Inn of Court President (2011- 2016), and the National Association of Women Judges. She has also served on the ABA’s Judicial Division Appellate Judges Conference. She has been appointed as a hearing officer for the Judiciary Commission of Louisiana to adjudicate allegations of judicial misconduct. Judge Love has been a member of the Greater Saint Stephens Full Gospel Baptist Church since 1987. She serves as the activity director for the Senior Citizens Ministry of the church. Her dedication to providing, cultivating, and encouraging service to the community is continuous, as she is an active member of the Omicron Lambda Omega Chapter of Alpha Kappa Alpha Sorority, Inc. (inducted in 1981 to the Gamma Rho Chapter at Jackson State University) and the New Orleans Chapter of The Links, Inc. Judge Love has been married to Ellria Love for the past thirty years. They are the proud parents of Jasmine Love-Cockfield (Samuel) and Ellria Hall. Judge Love is extremely proud that her daughter is a 2011 Jackson State Alumni and a member of Alpha Kappa Alpha Sorority, Inc., inducted into the Gamma Rho Chapter in 2010. Jasmine is presently employed as the Manager of Internal Communications and Special Programs with Rheem in Atlanta, Georgia. Senator Hillman Terome Frazier is chairman of the Senate Housing Committee representing District 27 in Hinds County. 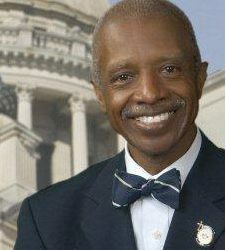 Before beginning his Senate service in 1993, he was a member of the Mississippi House of Representatives for 13 years. He is a member of the Appropriations, Elections, Interstate and Federal Cooperation, Investigate State Offices, Judiciary Division A, Public Health and Welfare and Universities & Colleges committees. He is also a member of the Congressional Redistricting Committee and the Legislative Reapportionment Committee. Senator Frazier’s legislative accomplishments are quite extensive. In 1995, he led the Mississippi Legislature in ratifying the Thirteenth Amendment to the United States Constitution which abolished slavery in the United States of America. The State of Mississippi refused to ratify the Amendment in 1865. He also did the research and authored the Compulsory School Attendance and Public Kindergarten Bills, which became the cornerstone of the Education Reform Act of 1982. Senator Frazier authored the bill, which made Dr. Martin Luther King’s birthday an official state holiday in Mississippi. As Chairman of the House Judiciary “A” Subcommittee, he successfully fought for the passage of the Mississippi Crime Victims Compensation Act, which compensates the victim of violent crimes up to $15,000. He also authored and secured passage of the Landlord Tenant Act, which governs housing standards and rental agreements in Mississippi. During the 2006 Legislative Session, he fought for the passage of a law that removed breastfeeding from the indecent exposure and the disturbance the peace sections of the Mississippi Code. Senator Frazier has been the recipient of many awards including the “Global Understanding and Cultural Advocate Award” by the Mississippi World Trade Center in 2014; the “Purple Peace Prize Award” by the Mississippi Coalition Against Domestic Violence in 2014; the “2013 Legislator of the Year Award” by Mothers Against Drunk Driving (MADD); the “International Humanitarian Leadership and Service Award” by the American Red Cross Mississippi Capital River Chapter in 2013; the “Humanitarian of the Year Award” by the National Black Caucus of State Legislators in 2012; the “Civic and Political Advocacy 4B Award” by the Phylaxis Society in 2012; the “Hometown Hero Shining Example Award” by the Jackson Convention and Visitors Bureau in 2012; the “Public Service Award” by the Turquoise Council of Americans and Eurasians in 2012; the “Legislative Leadership Award” by the Mississippi Nurses Association in 2010; the “Delta Day at the Capitol Award” by the Delta Sigma Theta Sorority in 2009; “Heritage Award” for outstanding leadership and meritorious service by the Forward Lookers Federated Club of Mississippi in 2008; “Humanity In Nigeria Award” by the Centre for Women, Youth and Community Action, Lafia, Nigeria in 2008; “Legislator of the Year” by the Victims’ Right Foundation in 2007;“James L. “Jim” Bean, Jr. Health Care Leadership Award” for outstanding innovative legislative leadership in the mission to provide access to quality health care for all people of Mississippi in 2006; the“ACLU of Mississippi Award” for outstanding leadership in the Mississippi Legislature in 2006; the “Spirit of Service Award” for the support and passage of the Mississippi Breastfeeding Legislation in 2006; “The Political Service Award” by the Zeta Phi Beta Sorority Alpha Delta Zeta Chapter in 2006; “The Legislative Award” for dedication and commitment to preserving quality care for all Mississippians by the Jackson Ophthalmological Society in November, 2004; the “Crown of Peace Award” for exemplary leadership in reconciliation and peacemaking by the Inter-religious and International Peace Council in February, 2004; “The Ralph Bunche Award” by the Jackson State University International Festival in April, 2000; the “2000 Millennium Torch Award” by the Magnolia Bar Association in January, 2000; and the Long Distance Runner Award” by the National Association of Black Social Workers Jackson Chapter in February, 2000. In December 1997, he was recognized as “Legislator of the Year” by the National Black Caucus of Legislators and presented the prestigious “Service Award” by the Jackson Chapter of the National Association of Black Social Workers. He was also awarded a “Certificate of Appreciation” by the Office of International Visitors of the United States Information Agency for “promoting international understanding between the United States and other nations of the world” in 1997 and 1995. Senator Frazier is a graduate of Leadership Jackson and Millsaps College’s Leadership Seminar in the Humanities. He was the recipient of the Eisenhower Exchange Fellowship to Hungary in 1998 and studied in Hungary, Romania and the Czech Republic. He was invited by the European Union to participate in the European Union Visitors Programme and spent time meeting with officials in Brussels, Strasbourg, Luxembourg, and Greece during the summer of 1997. In 2002 he was selected to participate in the Bavarian-American State Legislators Conference “State Governance for the 21st Century: Promoting Civil Society, Security and Economic Prosperity” in Munich, Germany, Bavarian cities and Brussels. He has also traveled and worked on projects in Albania, Amsterdam, Azerbaijan, Germany, Ghana, India, the Republic of Mali, Nigeria, Senegal, the Republic of South Africa, the Republic of Uzbekistan, Turkey, Israel, and the United States Virgin Islands. He and his wife Jean Maria reside in Jackson and have two children, Julian and Gabrielle, daughter-in-law Erica, grandson Kristopher Julian, and granddaughter Kawaii Joi. Judge Irving is a native of Greenwood, Mississippi. In 1968, he graduated from Jackson State College and taught for four years in the public schools of the Mississippi Delta before going to law school. He graduated from the University of Mississippi School of Law in 1974, and in 1975, he became the first African American to clerk for the Mississippi Supreme Court when he became the law clerk for the late Chief Justice Robert G. Gillespie. In 1976, he served as an Earl Warren Fellow Intern with the NAACP Legal Defense and Educational Fund in New York. In 1978, Judge Irving became the first African American assistant United States Attorney in Mississippi since reconstruction when he was hired by the U.S. attorney for the Northern District of Mississippi. He became the first African American to serve as board attorney for a Mississippi county when the Board of Supervisors of Humphreys County hired him in 1988. Prior to being elected to the Court of Appeals of the State of Mississippi in 1998, Judge Irving spent approximately twenty years in private practice. He practiced law in Greenville, Mississippi, with two college friends for approximately ten years before returning home to Greenwood, where he enjoyed a solo practice for ten years before being elected to the bench. During his years as a private attorney, Judge Irving had a diverse practice which included representation of both civil and criminal clients and a number of public clients, including the Housing Authority of the City of Greenwood; the cities of Itta Bena and Shaw; the towns of Jonestown, Sledge, and Winstonville; and the Shaw, Mound Bayou, and Leflore County school districts. He also handled a number of impactful cases, including the successful defense of Hershal Wilburn’s challenge to the election of Peggy Hopson to the Board of Supervisors of Hinds County, which resulted in Hinds County having a majority African American board for the first time; and the defense of Orlando Fratesi’s challenge to the election of Carl Palmer to the Greenwood City Council. Although a new election was ordered, Judge Irving’s role in ensuring that African American voters were not disenfranchised during the new election ultimately resulted in Greenwood also having a majority African American council for the first time. Judge Irving has served as a Presiding Judge on the Appeals Court since March of 2011, and was instrumental in expanding the Court’s Court on the Road Program to include annual oral arguments at Alcorn State University, Mississippi Valley State University, and Rust College. Judge Irving is a past president and treasurer of the Magnolia Bar Association. He is a member of the bar of the Supreme Court of the United States of America, American Bar Association, the Mississippi Bar, and the Magnolia Bar Association. He is also a life member of Alpha Phi Alpha Fraternity, Inc., a former member of the American Trial Lawyers Association and the Council of School Board Attorneys. Additionally, Judge Irving is a life member of the Jackson State University National Alumni Association and has established and funded an endowed scholarship at his beloved “Thee I Love.” He is a Methodist and a member of Wesley United Methodist Church in Greenwood. Judge Irving is married to the former Ethola Garrett Collins, and they have six children. Lieutenant Colonel (LTC) George Torrie Jackson, Jr. is a native of Jackson, MS. He holds a Bachelor’s degree in Political Science and Master’s degree in Education Administration, both from Jackson State University. LTC Jackson is a 30-year member of the U.S. Army Reserve / Mississippi Army National Guard and veteran of Operation Iraq Freedom. He began his military career as a Petroleum Laboratory Specialist (E-3) (894th Quartermaster Company, Jackson, MS – 1988-1992), then as a Finance Specialist (E-4) (210th Finance Battalion, Jackson, MS – 1992-1996). LTC Jackson was commissioned through the Mississippi Military Academy (Class 38), Camp Shelby, MS in 1996. As a commissioned officer, LTC Jackson has held many duty assignments to include positions as a Subsistence Officer, (114th Area Support Group, Hattiesburg, MS – 1996 – 1997), Platoon Leader (3656th Maintenance Company, Camp Shelby, MS – 1997 -1998), Detachment Commander (3656th Maintenance Company, DET 1, Waynesboro, MS – 1998 – 2000), Maintenance Control Officer / Executive Officer (3656th Maintenance Company, Camp Shelby, MS – 2000 -2001), Detachment Commander / Executive Officer (3656th Maintenance Company, DET 2, Gloster, MS – 2001 -2002), S-1 Personnel Officer (298th Maintenance Battalion, Philadelphia, MS – 2002 -2003), Service and Support Officer (114th Area Support Group, Hattiesburg, MS – 2003 – 2006). During Operation Iraqi Freedom (2004) LTC Jackson served as the C4 Sustainment Battle Captain and Coalition Acquisition Review Board (CARB and Super CARB) secretary. His next successive assignments included Company Commander (1/185th Aviation Battalion, E Company, Jackson, MS – 2006 – 2008), S-3 Operations Officer (8/108th Transportation Battalion, Jackson, MS – 2008 – 2012), Executive Officer (8/108th Transportation Battalion, Jackson, MS – 2012 – 2014), Materiel Readiness Branch Chief (377th Theater Sustainment Command, Belle Chasse, LA – 2014 – 2016). 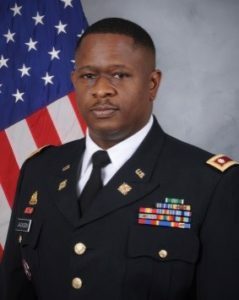 LTC Jackson currently serves as the Battalion Commander of the 5th Logistic Civil Augmentation Program (LOGCAP) Support Battalion, located in Sheffield, AL. LTC Jackson’s awards and commendations include the Meritorious Service Medal, Army Commendation Medal, NATO Medal, Afghanistan Campaign Medal, Army Achievement Medal, Army Reserve Component Achievement Medal, National Defense Service Medal, Global War On Terrorism Expeditionary Medal, Armed Forces Reserve Medal, Army Service Ribbon, Meritorious Unit Commendation, Overseas Service Ribbon, Humanitarian Service Medal, Armed Forces Reserve Medal, Mississippi Emergency Service Medal and the Mississippi Longevity Medal. In his civilian capacity, LTC Jackson serves as a school administrator for the Holmes County School District Central High School, located in Lexington, MS, and holds the rank of Lieutenant with the Hinds County Sheriff’s Office-Reserve Division in Jackson, MS. LTC Jackson, his wife Dr. Debra Mays-Jackson, and two sons Cameron and Kendall currently live in Terry, MS.
Dr. Levertis Meeks, a native of Lexington, Mississippi, is a 2010, 2012 and 2017 graduate of Jackson State University’s College of Liberal Arts (English) and College of Education (Educational Administration). During his matriculation at Jackson State University, he established himself early on as a student leader and allowed his commitment to excellence and love for Jackson State University to mold and shape him into the type of leader he aspired to be and the man that he would ultimately become. His participation as a student included the following: Pre Alumni Club, COGIC Collegiate Club, The Shakespeare Club, Sigma Tau Delta International Honor Society, Graduate Student Council, Doctoral Student Association, International Golden Key Society, Alpha Kappa Mu and has contributed to The Blue & White Flash. Dr. Meeks took an interest in the life and works of Dr. Margaret Walker-Alexander where he was able to secure a graduate assistantship through the Center for University Scholars and work for the Margaret Walker Center at Jackson State with Margaret Walker personal papers digitization project. He has been an active alumnus of the Jackson State University National Alumni Association, Inc. (JSUNAA) since 2010, where he continues to display his love and appreciation for his “Dear Old College Home” through his work and involvement on both the local and national level. 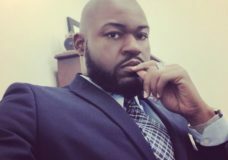 He has worked in Higher Education since 2010 in several capacities at Tougaloo College, Jackson State University, Mississippi Valley State University, and Lane College; he also taught in K12 as a Senior-level English teacher. In 2017, Dr. Meeks relocated to Memphis, Tennessee to accept a faculty appointment at Southwest Tennessee Community College. 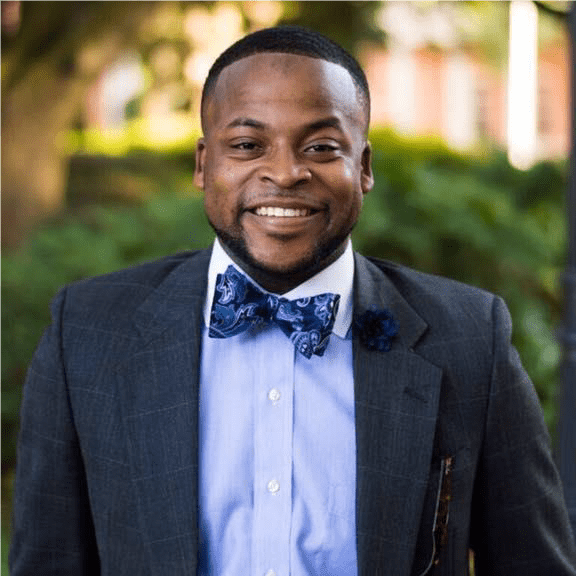 He completed his terminal degree (Ph.D.) from Jackson State University and graduated in December of 2017 and became active in the Memphis Alumni Chapter where he was appointed to serve as the Director of Membership in 2018. Dr. Meeks continues to serve Jackson State University and the National Alumni Association not only through the roles and responsibilities tied into his current position but also through his commitment to the local chapter. Included in his most recent accomplishments, Dr. Meeks became a published author in fall 2018; he released his book titled The Transformative Power of Slavery and Southern Traditions.